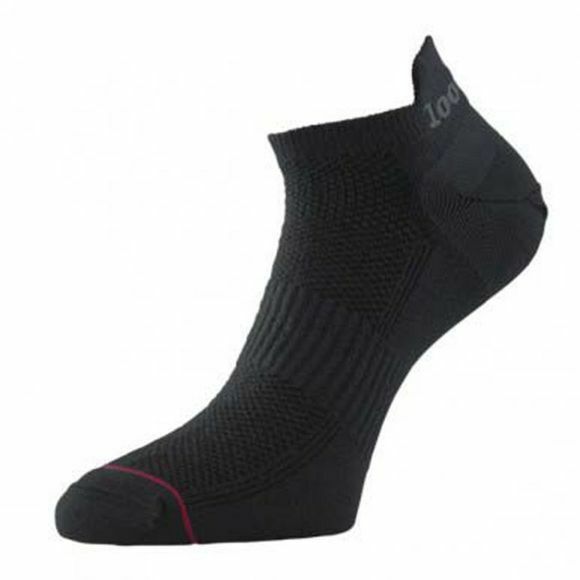 The Womens Ultimate Tactel Liner Sock from 1000 Mile is a sock within a sock. The inner layer stays with the foot, the outer layer moves with the shoe, eliminating friction on the skin and reducing wear. Use as a blister-preventing base layer under a traditional thick walking sock for 4 season use or as a stand-alone summer sock with lightweight fabric boots.